Way to go Jim Manchester! Congratulations on your Hole in One on hole #3. 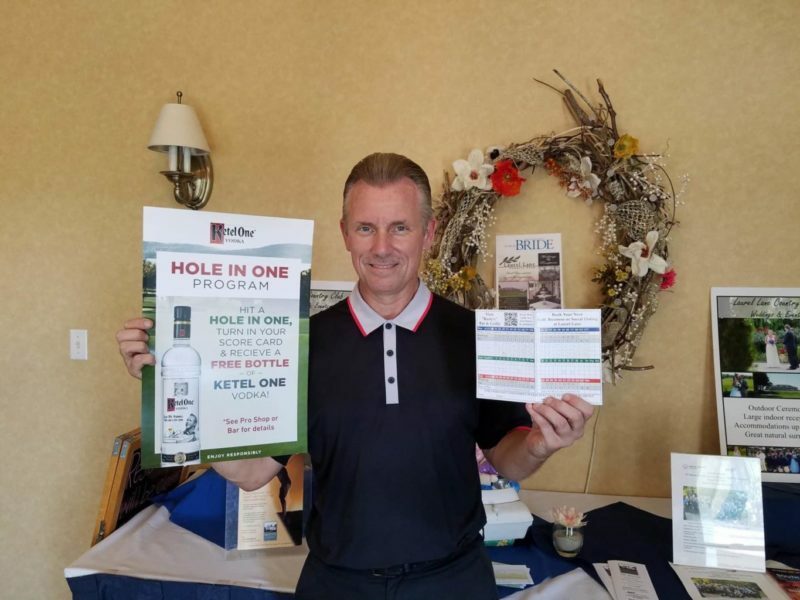 Our 3rd Kettle One Hole in One winner! Next: BOOK YOUR NEXT EVENT at Laurel Lane!